Brand Loyalty Among Underage Drinkers – TAM Card® Nation in Vegas! 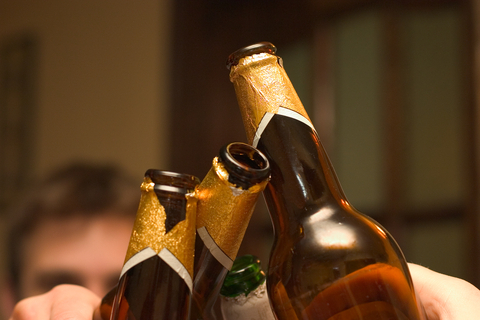 Binge drinking among young people is highly prevalent. 67% of drinks consumed by teens aged 13 to 20 done so as part of binge drinking episodes. 14% of those survey reported having drunk Bud Light at least once, followed by 7% have drunk Jack Daniel’s bourdon. Other popular choices were Smirnoff malt beverages, Budweiser, and Coors Light. There is no strong trend toward one particular type of alcoholic beverage. The 25 most cited brands are diverse, and include beers, vodkas, whiskeys, rums, malt beverages, and cognacs. How can hospitality professionals help to prevent underage drinking? It only takes a minute to check an ID and prevent a minor from entering a bar and buying a drink. Gas stations, grocery stores and liquor stores are also places that teens turn to in order to purchase liquor, especially canned or bottled beer packs and malt liquors. Staffers at those establishments should take steps to ensure they are doing all they can to prevent illegal sales. The RR Forum makes excellent and common-sense suggestions for helping to curb teenage drinking from off-site sales. For their tips, you may refer to the article on the FTC website at “Alcohol Retailers Can Help Reduce Teen Drinking.” Everyone involved in sales should be TAM®-certified, aware of store policies regarding acceptable forms of ID, and also when and how to refuse a sale. How else do you think service workers can help curb teen drinking?